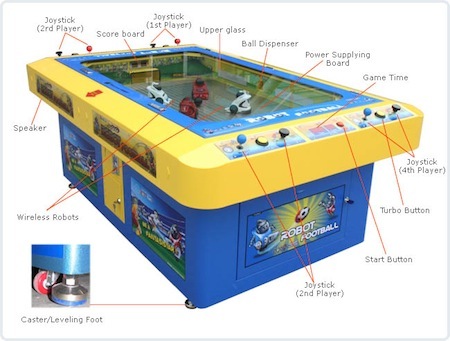 The Marubot Football League arcade game features wireless robots that players can control with joysticks. The robots even express emotions on their little face displays. Only in Korea. 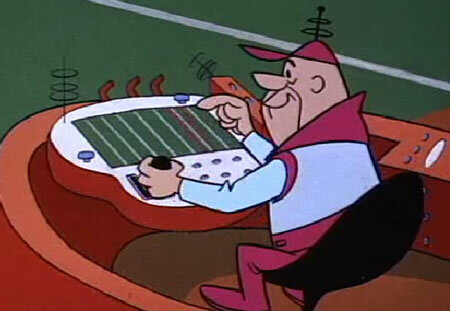 It seems like only days ago that I referenced the 1960's Jetson's TV show that featured full-size robot football. Note that the coach controls the action with a joystick.